There’s a new player in the luxury travel market. Watch out, Tokyo. Move aside, Hong Kong. Out of the way, Ibiza. 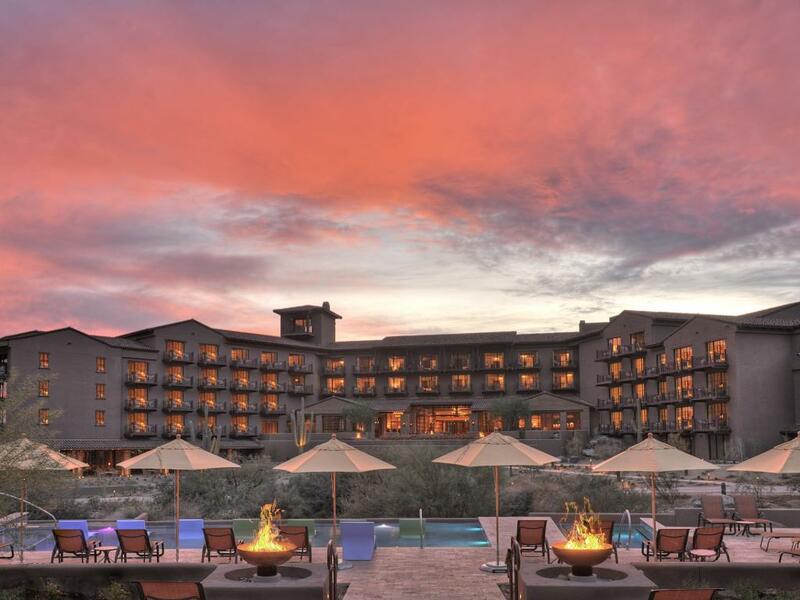 There’s a new player in the luxury travel market: Marana, Arizona. 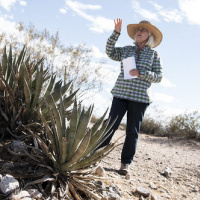 Located among the spectacular mountains of Southern Arizona, surrounded by saguaros and bright blue skies, there’s no better place to escape than Marana. And just for you, you savvy globe trotter, we’ve got five quick tips for your luxury getaway to our desert oasis. 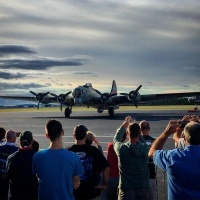 Skip the lines and the traffic by flying into Marana Regional Airport. This quiet and discrete airport is close to all the highlights you can’t miss. As your plane descends, you’ll enjoy an incredible view over the Tucson Mountains and Saguaro National Park. Home to dozens of cactus species, including its iconic namesake, this gem of a park showcases the verdant beauty of the Sonoran Desert. When you touch down, a car and driver await to whisk you away to your destination. 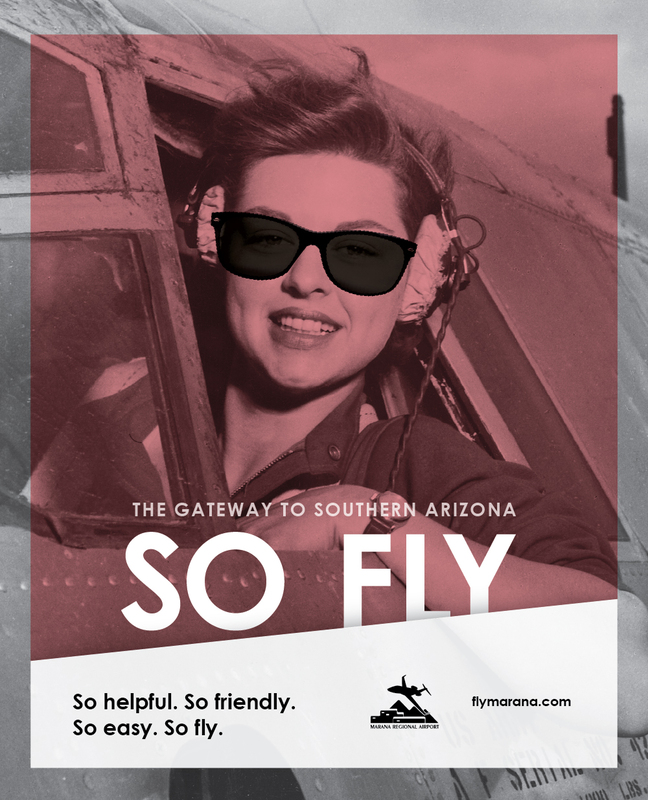 There’s no need to wait for baggage claim or go through security when you fly Marana. We know you don’t travel to see airports, so don’t. So helpful, so friendly, so easy. So fly. 2. 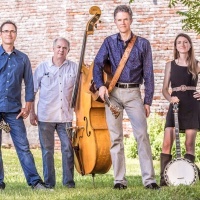 Don't Miss The Ritz! 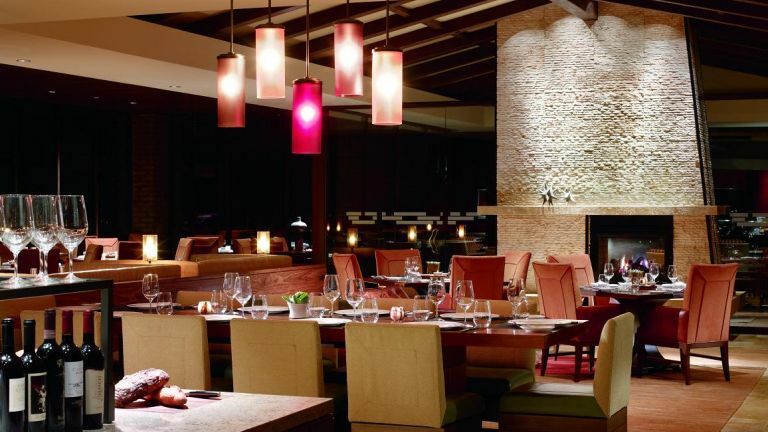 Your first stop in Marana has to be the Ritz-Carlton, Dove Mountain. 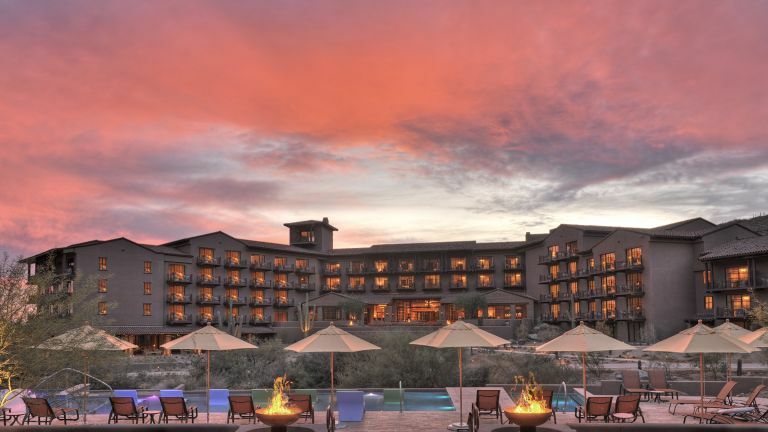 Tucked into the Tortolita Mountains, this secluded resort is rated as one of the best in Arizona. 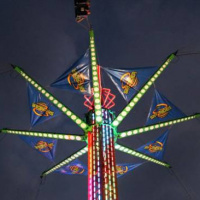 In fact, its Five-Star, Five-Diamond accolades place it among the best in the country. One look at its incredible facilities and you’ll understand why. Stand at their back patio and gaze out on the mountains. 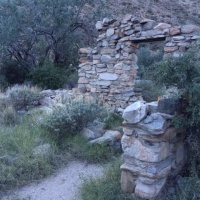 In front of you extends a fan of swimming pools, meditative gardens, and ancient rocks adorned with the art of the Hohokam people who lived in these mountains centuries ago. Standing on this patio, it’s easy to imagine just whiling away an entire weekend at this very spot. Good news: you can do that. But if you do, be warned—there’s a lot more to Marana than spectacular views. Escaping to Marana is all about getting away from the worries of the world. If that’s your goal, there’s no better way to release your stress than taking advantage of the region’s world-famous spas. The Ritz-Carlton Spa, Dove Mountain practices ancient therapeutic rituals that make the modern world stand still. Conde Nast Traveler magazine named this amenity the top spa in Arizona and the #3 in all of North America. The environs of this resort are already pretty serene, and visiting their spa will allow your experience to transcend all the trappings of modern life. If you’re looking to venture farther afield, then the Life in Balance Spa at Miraval may just be the place for you. 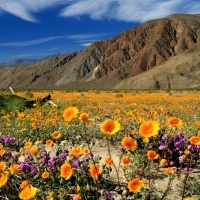 This picturesque setting lets the beauty and rejuvenating features of the Sonoran desert work their magic. When you experience the Miraval spa treatment, you allow your mind, body, and soul to intermingle with the natural environment around you. When you allow your spirit to return to earth, you may find that all that relaxing and meditating made you work up an appetite. 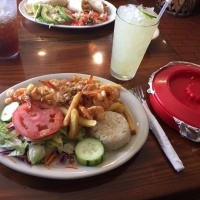 Don’t worry, we’ve got you covered, because Marana is home to a number of exceptional dining options. Take Vero Amore. This quiet and peaceful atmosphere belies a vibrancy and vitality that invigorates its menu. 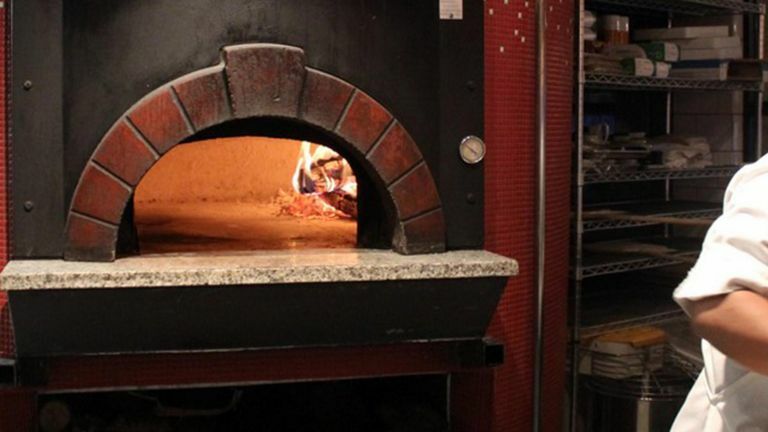 Authentic Neapolitan pizza, delicate sopressata, and pork oso bucco are just a few offerings from their extensive menu. Top off your dinner with some of the best cannolis this side of the Tyrrhenean Sea, and you’ll be dreaming of chianti and ricotta all night long. After dinner, stroll next door to Savaya Coffee. This artisanal café is owned by a family that’s been roasting and brewing their own coffee since 1551. You could say they know what they’re doing. In their rustic shop, you’ll enjoy a relaxed and comfortable space that invites conviviality. As you sip your espresso, you’ll experience that same feeling of escape all over again. If you’re not feeling Italian food, nessun problema! 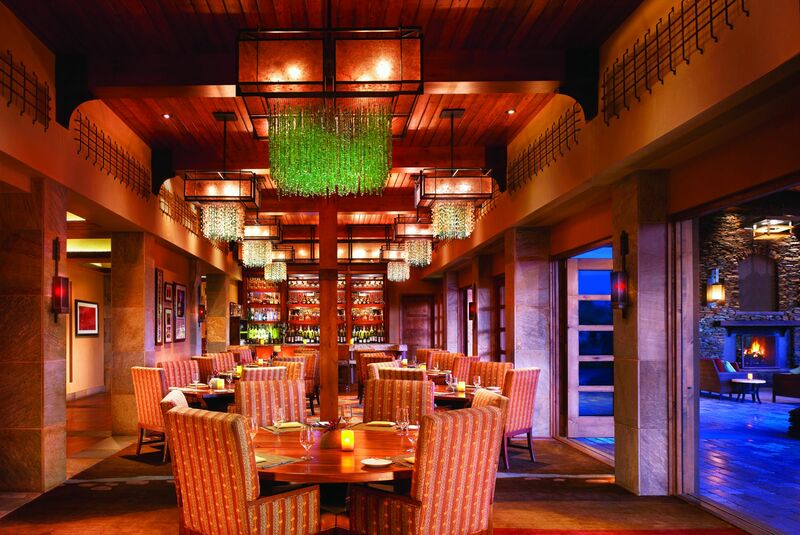 The Ritz-Carlton boasts a wide variety of restaurants in and around the resort, including Core, which serves up exquisitely designed recipes and hand-crafted cocktails every night of the week. 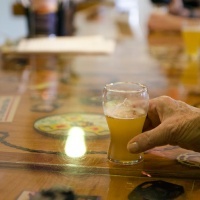 Just down the road, Cayton’s Burger Bistro evokes Marana’s long history of cattle ranching. 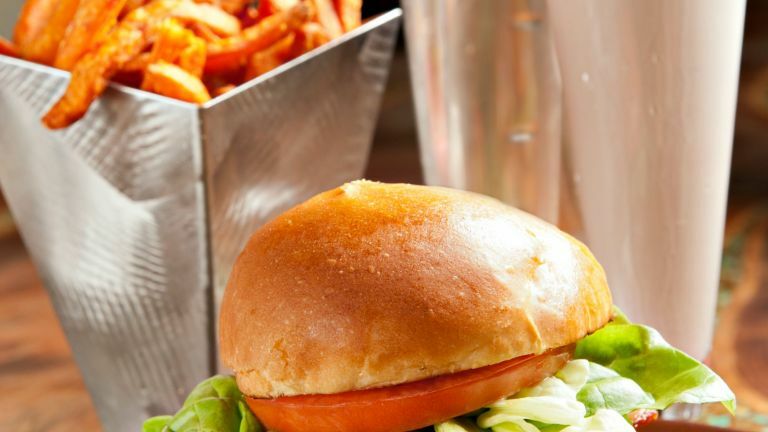 Wash down your perfectly grilled burger with one of the many locally brewed beers they have on tap. With so many gourmet dining choices to choose from, you may just have to stay a few extra days to visit them all. Don’t worry, we don’t mind. We’ll even let you tie down the jet at the airport for a few more nights. 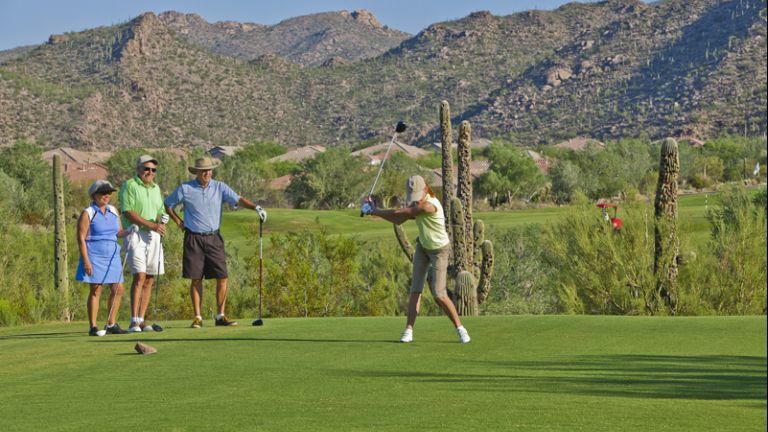 No luxury getaway to Marana would be complete without a day on the links. 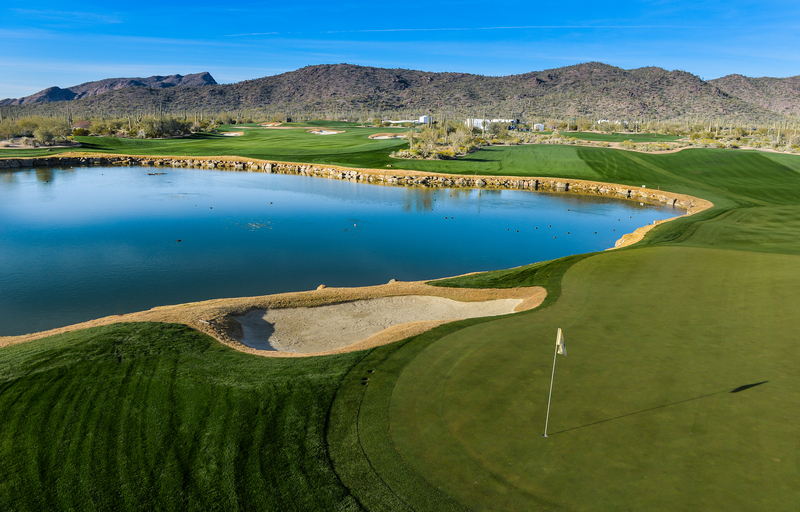 Fortunately, Dove Mountain is home to three top tier golf courses, all designed by some of the best course architects in the business. Tom Lehman and John Fought knew what they were doing when they designed the 36 holes of the Gallery Golf Club. Darting in and out of canyons and across washes, this course offers beautiful vistas and thought-provoking greens. How can you best handle Ruelas Wash on Hole 8 of the North Course? Better study up! Across Dove Mountain Boulevard from the Gallery lies the Highlands Golf Club, an ever-popular destination for true golf enthusiasts. With its immaculately conditioned fairways and fun-loving community, teeing up at the Highlands is both a joyful and memorable experience. 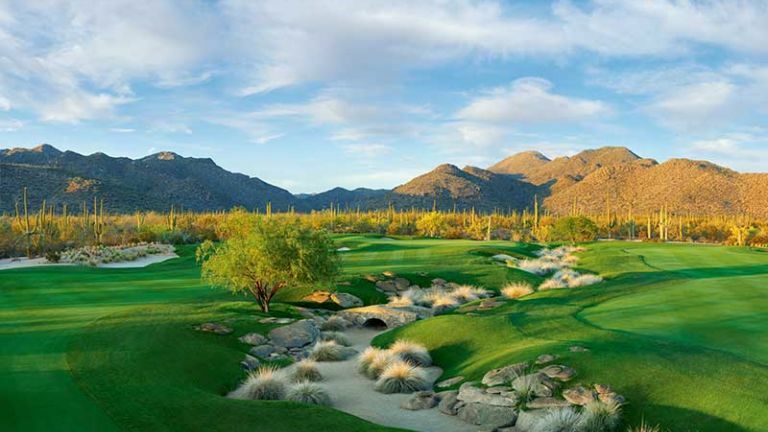 If those two weren’t enough, you’ve got to check out the Golf Club at Dove Mountain. Jack Nicklaus, the Golden Bear himself, carefully designed each hole to challenge even the most accomplished of golfers, while still allowing relative beginners a fun and accessible experience. And good news! Just up the hill from this course, you’ll find yourself back home at the Ritz-Carlton. Time for another spa treatment? Cancel the charter to Key West, because your luxury getaway is closer than you think. 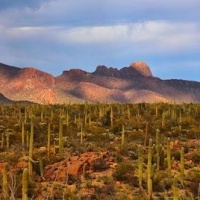 Marana’s incomparable setting makes this community in the stunning Sonoran Desert a truly unique destination for a luxury vacation. Grab your swimsuit, your hiking boots, and your golf clubs, and we’ll see you soon. Book your stay today.